If you read the title and wondered what the pizza capital of the world has to do with going through taxing experiences, especially those of the medical type, stay with me. What I hope is that in some way, this knead-to-dough advice helps you recognise that without having endured the tough experience(s), and/or those you are still enduring, you wouldn’t be the same you that you are right now. You don’t need to go through these experiences alone, however, and though anyone is capable of being a pillar of strength, with the right support, as cheesy as it sounds, standing together allows for something perpetually strong. Coeliacs and gluten intolerances, welcome. There are two things I believe aid in the crumbling of someone’s interpersonal strength; guilt and loneliness. As a patient of many unforgiving and complex medical conditions I’ve been both the victim and the enabler of some pretty life-changing moments. The human side of me (and of you) can’t always help the way it reacts to certain experiences, sometimes those reactions involve a lot of crying, feeling tremendously scared, feeling lonely and/or incomprehensibly angry. I have learned to believe in the ~rose gold linings~, in the little bit of good within the bad, and in how much a support system can help. Support is a fundamental layer of how I’m still here; and as to why I’m writing this article. I know it’s easy for me to preach ~optimism~ when people’s circumstances are so diverse, and for those of you who might be thinking it, you’re right, I don’t really know what you’re going through; but I am sorry that you’re going through it, sort of. The sort of aspect comes from me believing that you’re someone who is unquestionably stronger than you might feel right now, or have felt in the past, it isn’t because I wish ill upon anyone (I promise, I’m the type of person who quite literally learned from my dad to feel sympathy for ants when I step on them!). We’ve never met, but I believe in you; and belief is where support grows from. Sometimes it feels like hope is a band-aid, sometimes the challenge of the day is enduring the side effects of a medication, sometimes its hearing more bad news from a specialist, and some days the hardest part is simply getting out of bed. We are human, and with being so comes the very real feature of a colosseum-sized lucky-dip of emotions. I’ve never been to Rome, and I had to Google images of the colosseum to ensure my Italy metaphors could pasta-the test- but my point is a support system built the colosseum, and even in its crumbled ~imperfectly perfect~ state it is awe-inspiring; and its ability to endure whatever time throws its way is extraordinary. I understand how hard it is not to feel guilty about asking for help, especially when it feels like you’re bothering those you want/need it from. Sometimes it feels selfish to speak up, so you choose to suffer alone; it’s very normal to feel like a burden to the ‘healthy/happy/normal’ people you love. You’re not a burden though, you can survive through this, and there really are so many people who want to help you. A step towards healing is admitting you might need/want support sometimes- this isn’t showing weakness, this is a part of being human. 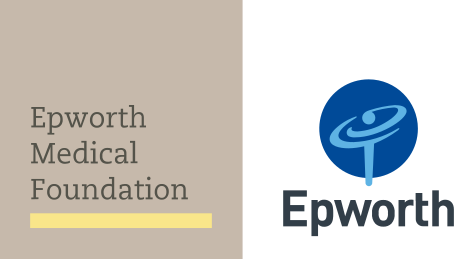 Epworth offers support systems in the form of nurses and specialists, your friends, family, co-workers and loved ones are ALWAYS welcomed, in addition are the teams of professionals and volunteers ready to just be there. There’s also Epworth’s new online hub, The Village, which has a ton of information available (Dr Google searchers, I see you) and a community forum for you to connect with others, which is especially hospitable to those wanting to remain anonymous. The platform welcomes every walk of life, hosts a plethora of information on what might be happening to you, and the opportunity to connect with others who you might find supportive in finding a little bit of piz-za-mind (peace of mind).